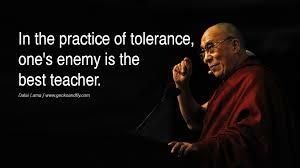 Dalai Lama is one of the most influential religious leaders in the 21st century. Despite being religious, he argues that it is important to be a person who is good in life rather than a religious one. I completely agree with Dalai that a person is supposed to be good rather than observing religious teachings without transforming the lessons learned in life and becoming a good person. In life, there are many people who are religious in nature, but they are not good. For example, they are people who observe all religious teachings, such as going to church, but they engage in evil activities. Thus, religion is not the basis for determining who is a good person in life, but rather ethics should be the guiding principles in life to direct the actions of individuals in life on the path of what is right and wrong. Lama (pp23) points out that ethics supersedes religion and people should follow ethical principles in life rather than just being religious. Ethics determines what is right and wrong in the society, while religion is more concerned about a person faith. One of the reasons why being religious should is not important as being a good person, is because there are no universally acceptable religious teachings, different religions have their unique teachings. However, when it comes to ethics, there are certain ethical principles that are universally acceptable, despite the fact some them differs in different cultures. Given that ethics defines what is right and wrong in the world, then it is easier for people to be good than being religious. We have so many people in the world who are good, but they are less religious. A real person observes the acceptable codes of behavior by the society, unlike religious people who follow certain teachings, which in some cases might not be morally right. For example, teachings advocating for people to kill each other on religious basis makes a person bad based on ethical principles, which argue that human life should be respected and this is something that is acceptable universally (Lama 21). Thus, a good person does what is right based on the guiding ethical principles in the society, unlike religious teachings which at times advocate for things that are considered evil. The best thing about good people is that they engage in things that are acceptable to all members of the society or the majority of the people as morally correct. This means being a good person in life more important than being religious. Someone can be religious, and at the same times, he or she is not a good person (Feldman 8). A good example of religious people was that of the Pharisees in the biblical teachings who always observed all Jews religion teachings and values. Nonetheless, they did not stand for what was good for the people, as they were corrupt and engaged in different forms of evils. This example clearly reveals that it is possible for people to be religious and they fail to be good. Following religious teachings does not qualify a person as good. Those people who engage in the killing of masses in the name of religion cannot be termed as good people. In conclusion, ethics should be the guiding principles of what is right and wrong rather than people being religious in life.